A bright and colorful gift basket showcasing a selection of fresh seasonal fruit. 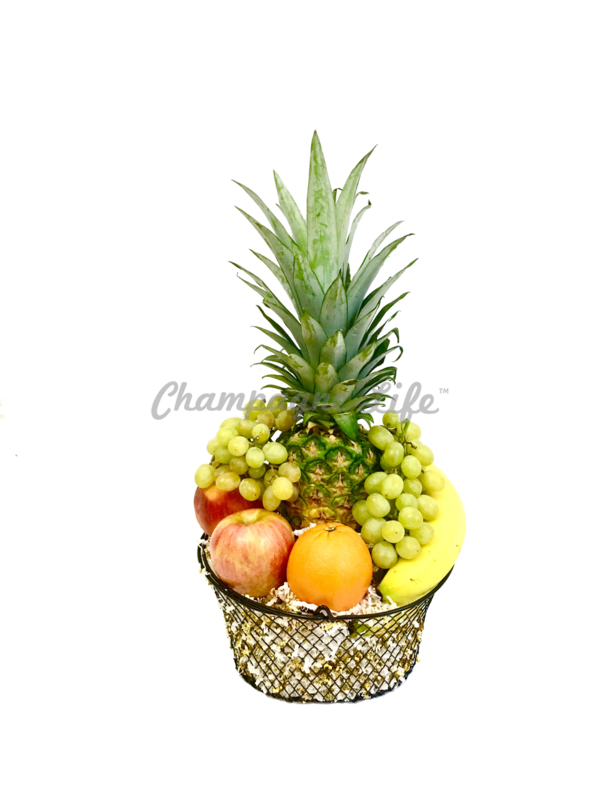 Fruit gift baskets qualify for same day delivery to Las Vegas Strip Hotels and Casinos. A bright and colorful gift basket showcasing a selection of fresh seasonal fruit. Perfect healthy gift option! Fruit gift baskets are eligible for same day delivery to Las Vegas Hotels and and Las Vegas Strip Casinos. This item if available for local delivery only, shipping is not available at this time. Fruit selection might vary based on the season.